Urban Ecos partnered with Dr. Matt Ritter, professor of Botany at Cal Poly, and Jeff Reimer of the Urban Forests Ecosystem Institute to develop the Urban Tree Key. 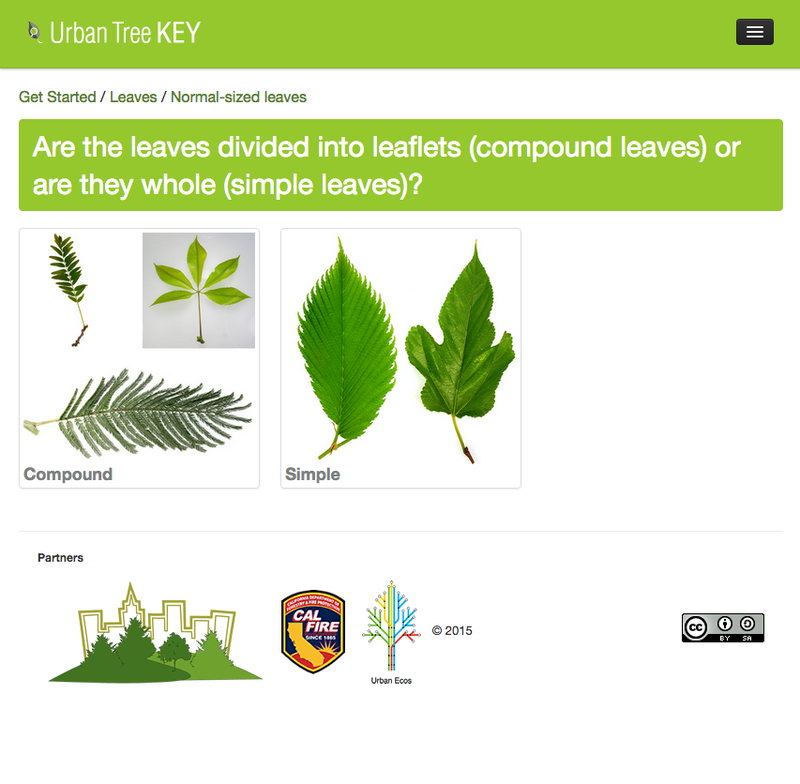 The Urban Tree Key is a web-based guide to help users identify the 250 most common tree species found in cities in California. There are a number of books available to help in identifying native species in our forests, but the vast majority of trees found in California cities are transplants from elsewhere. Until the release of the Urban Tree Key, tree aficionados on the West Coast had few options for identifying the trees around them.